Comments: YNM seismo trace. 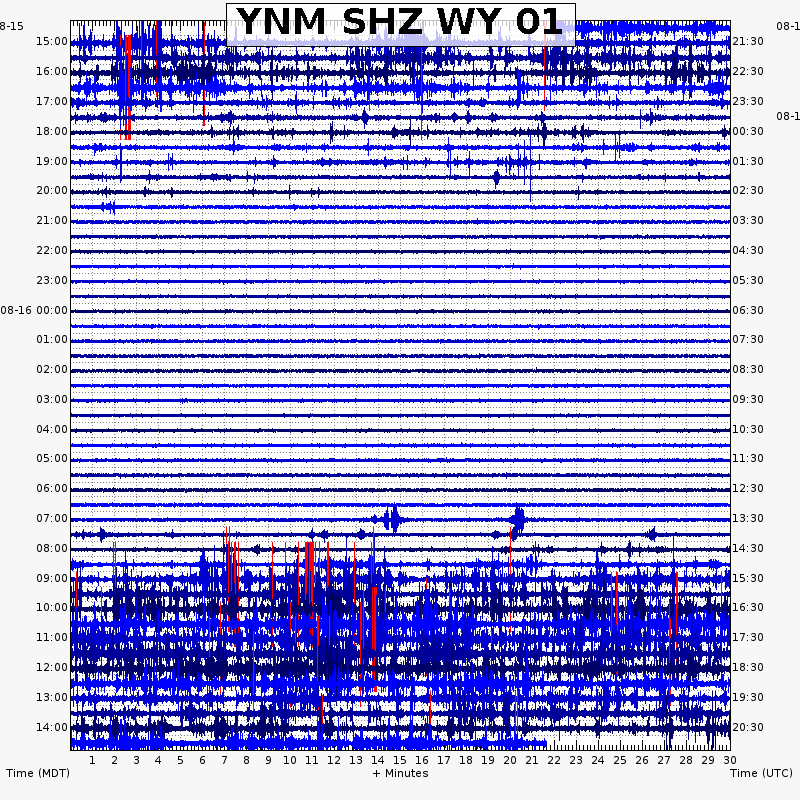 YNR seismo trace also. Looks like a "choke" at 0522. Tantalus temp is rising as air temp is falling before sunrise. If I understand correctly the choking observed on the 17th was relatively abrupt. The decrease in amplitude to 0522 looks to me more like a switch from steam dominated to water dominated. That being said, the trace for this eruption is kind of unusual. Really hoping there were visual observations for this eruption.